As I’m learning more and more about homesteading and making my own products. I like to try different ways of making items. Candles are one of those things that have a million and one ways to make it. 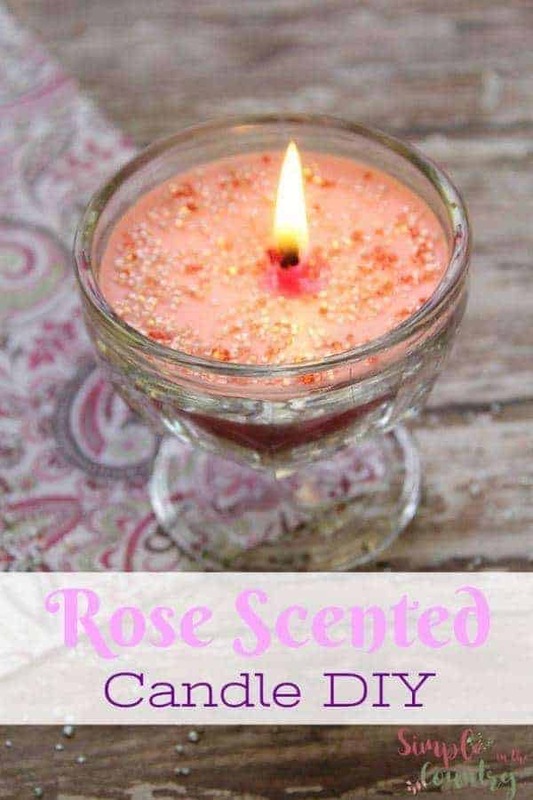 This post will show you an easy way to make a Rose Scented Candle. 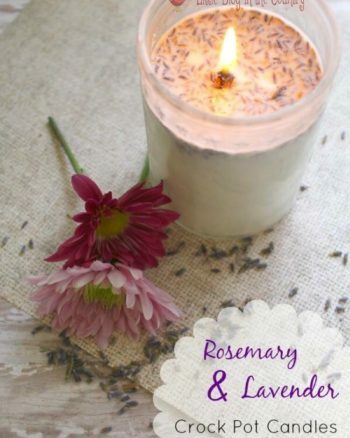 If you don’t have rose, you can easily add in another scent. 1. Pour the wax flakes in a non stick pan and heat on low heat. Stir gently as you do. 2. Add in 7-10 drops of the rose scented oil. You can use more or less if you wish. 3. You can now tint the wax. 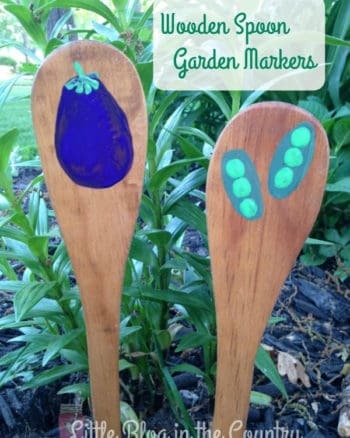 DO NOT use food coloring. Instead use a crayon in your choice of color. Unwrap it, break it into pieces, drop it in and stir. 4. Prepare the wick. 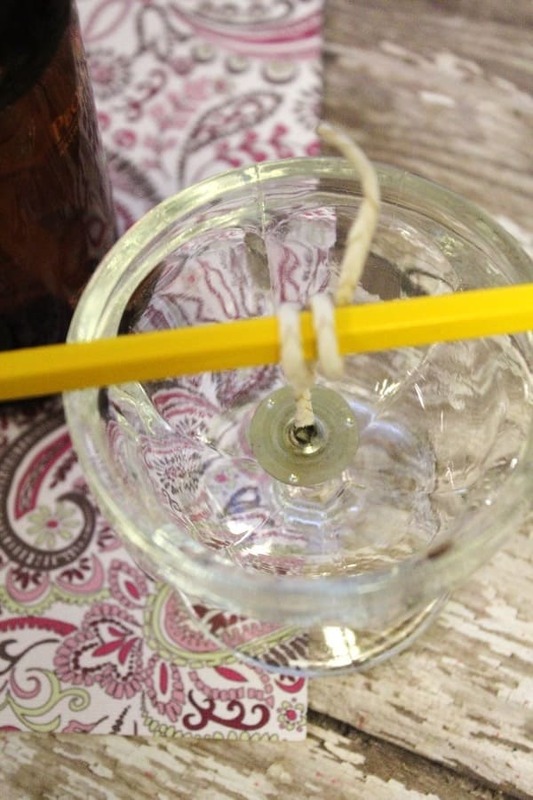 Wrap the top of the wick around a pencil or stick and place across the top of the container of choice. Let the weighted end drop to the bottom. 5. 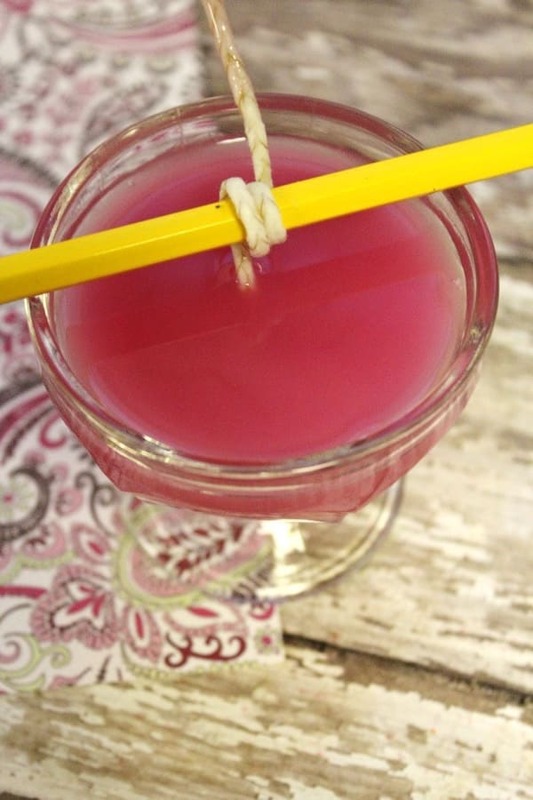 Place the stick over the jar. 6. You can now pour the melted mixture into the jar. Keep the wick centered. 7. Allow the wax to set. Place the candle in a room that is cool. About 30 minutes in when it has started to harden, sprinkle the candle with sugar sprinkles. 8. 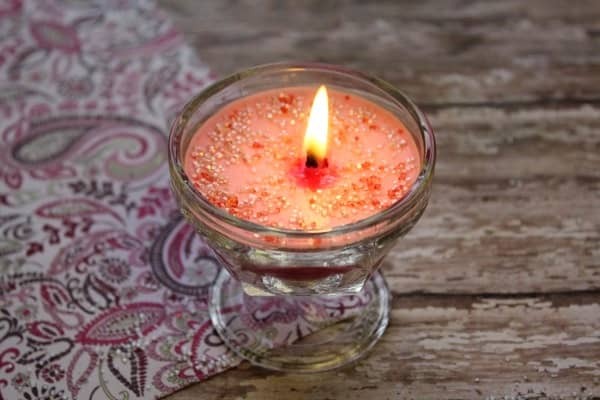 Once you candle has hardened (may take up to 6 hours) snip the wick to shorten it. You can now light and enjoy! 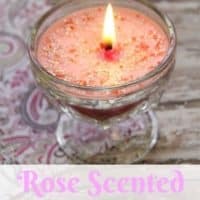 This is a quick easy way to whip up a Rose Scented Candle that you can gift or just light and relax. Pour the wax flakes in a non stick pan and heat on low heat. Stir gently as you do. Add in 7-10 drops of the rose scented oil. You can use more or less if you wish. You can now tint the wax. DO NOT use food coloring. Instead use a crayon in your choice of color. Unwrap it, break it into pieces, drop it in and stir. Prepare the wick. 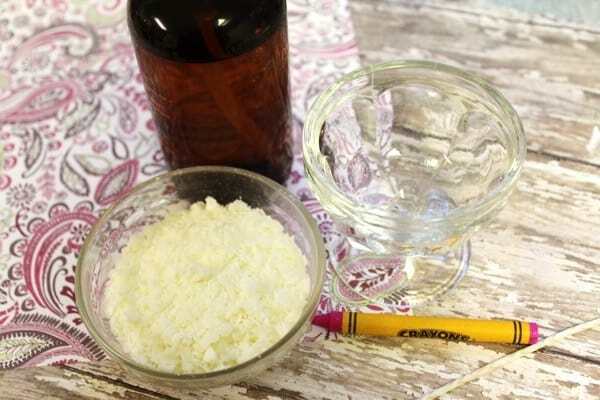 Wrap the top of the wick around a pencil or stick and place across the top of the container of choice. Let the weighted end drop to the bottom. Place the stick over the jar. You can now pour the melted mixture into the jar. Keep the wick centered. Allow the wax to set. Place the candle in a room that is cool. About 30 minutes in when it has started to harden, sprinkle the candle with sugar sprinkles.